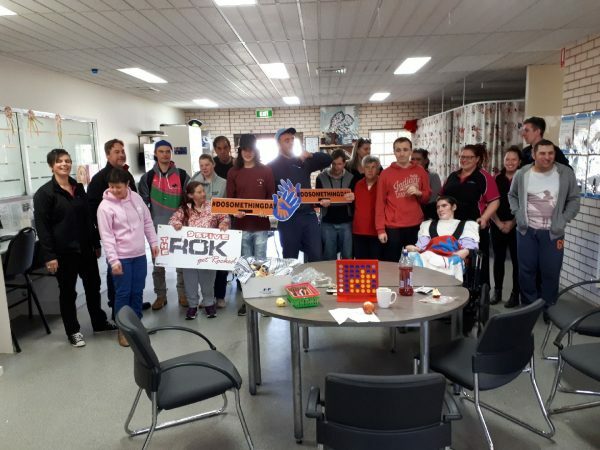 LAST Wednesday July 25 ROKFM dropped in for Do Something Day (#dosomethingday) which is an initiative that is Australia’s biggest celebration of giving back. “It recognises the extraordinary contributions of everyday locals within our communities,” said CDS Direct Care Team Leader Indigo Kriedemann. “Even the Penrith Panthers rugby league side participated today and raised $150,000,” said Indigo. There are many charities and organisations that need your help. This DoSomething Day, please choose an organisation or cause that you can support throughout the year! Volunteers are the backbone of Australia’s communities. This DoSomething Day, why not join them and make a real difference?